This late December light on a Holiday had us out and about. 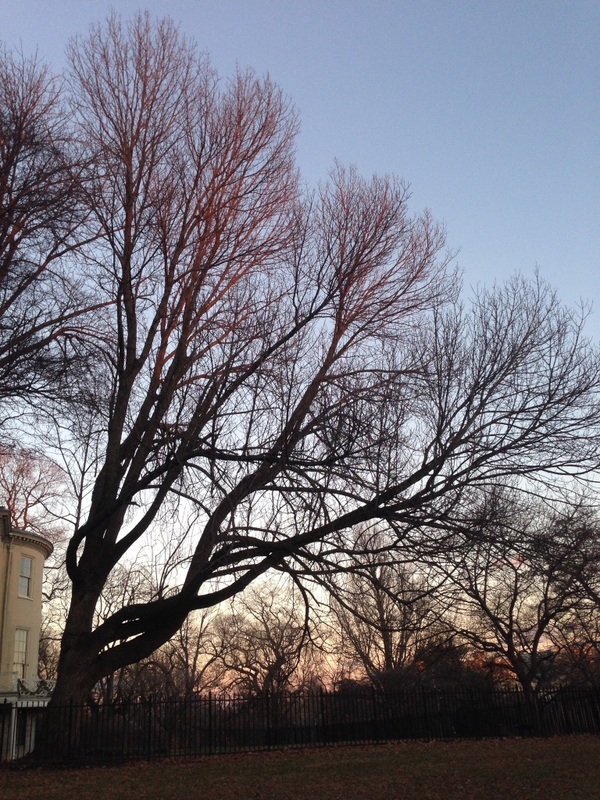 As the sun set on the city more and more spots along the way fell into the shadows of the young winter’s evening. 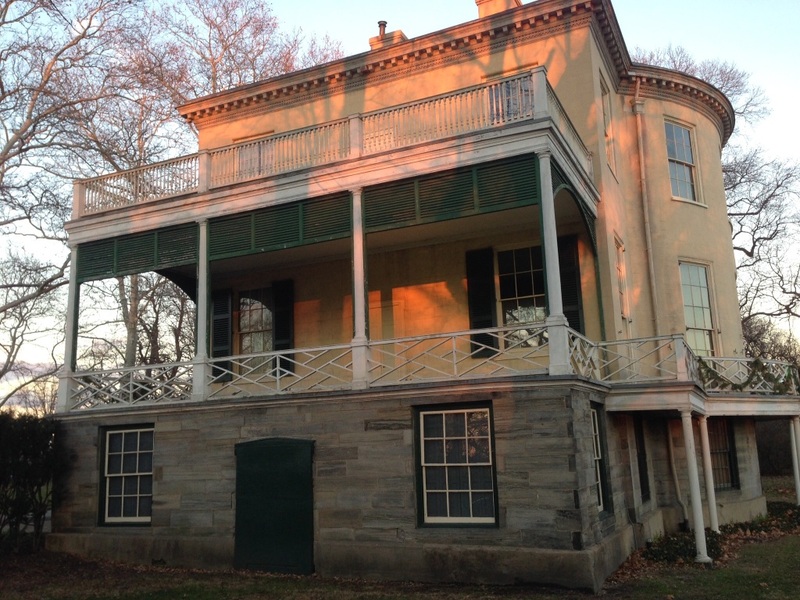 Lemon Hill Mansion, situated on one the very last bluffs of the piedmont, overlooking the Schuylkill River was still bathed in the last minutes of the holiday’s sun and we visited for these last moments. 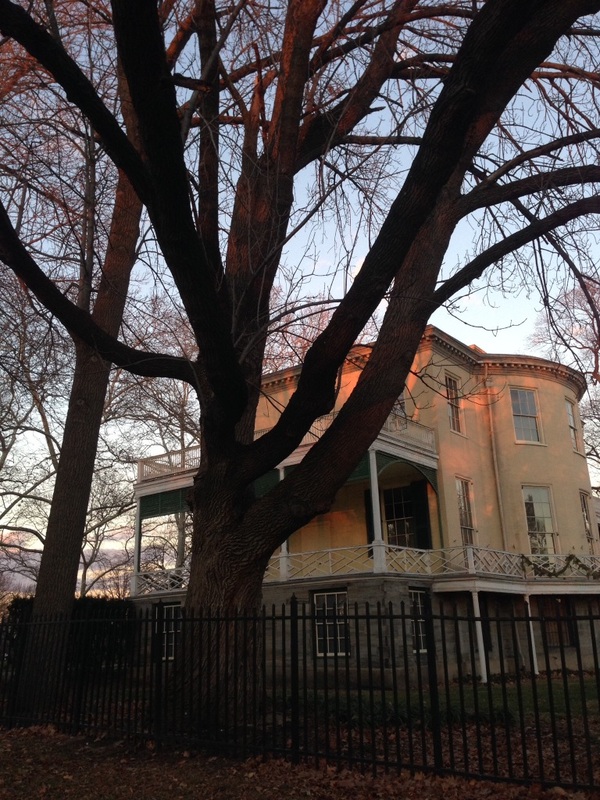 On the grounds of this historic house, we noticed the most majestic of Ash trees, glowing orange. 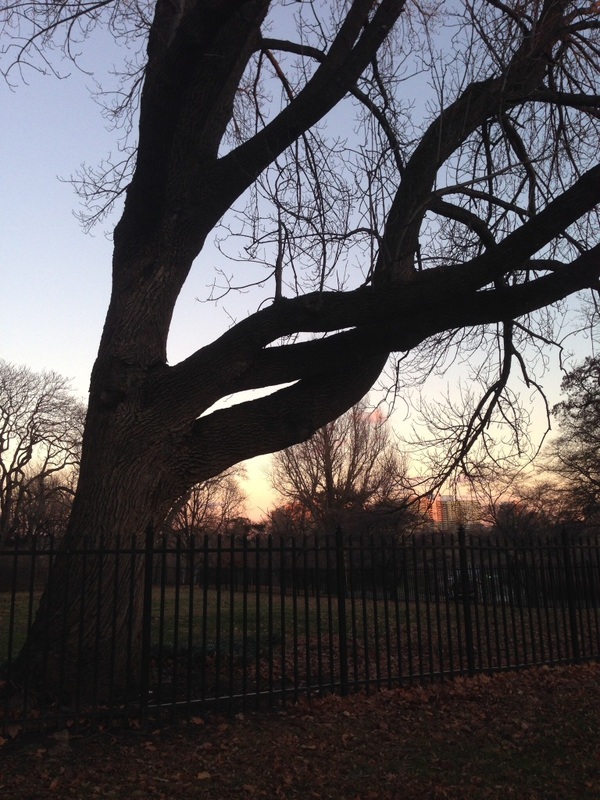 This specimen, the most stunning of Ash trees, had the most impressionable shape and form. It leaned away from the house, lending an air of protection to the building and its size and position adding to the history and atmosphere of the place. 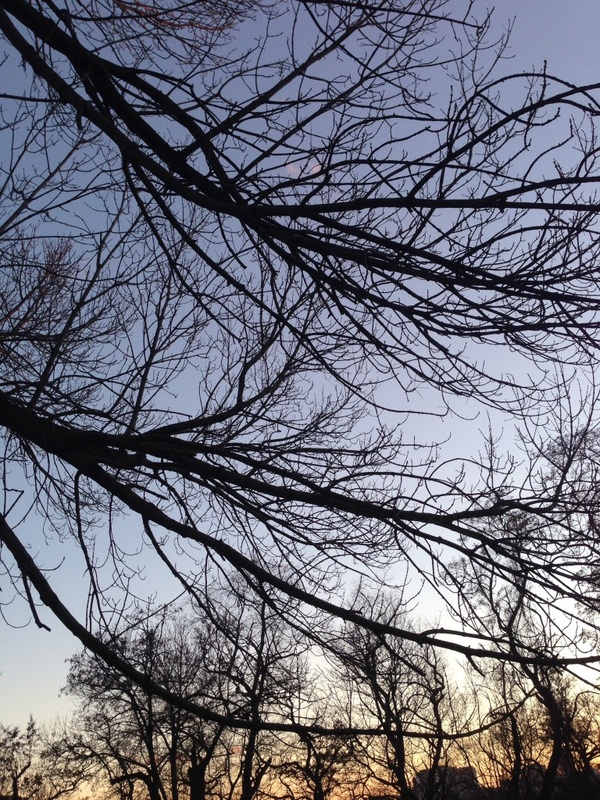 Today was quiet and wintery, stark and bare-bones. But this tree has most likely had many days where it has provided shade and helped cool the spacious porches of the house. And sadly enough, it may well be reaching the end of its days as the blight looms closer and closer. 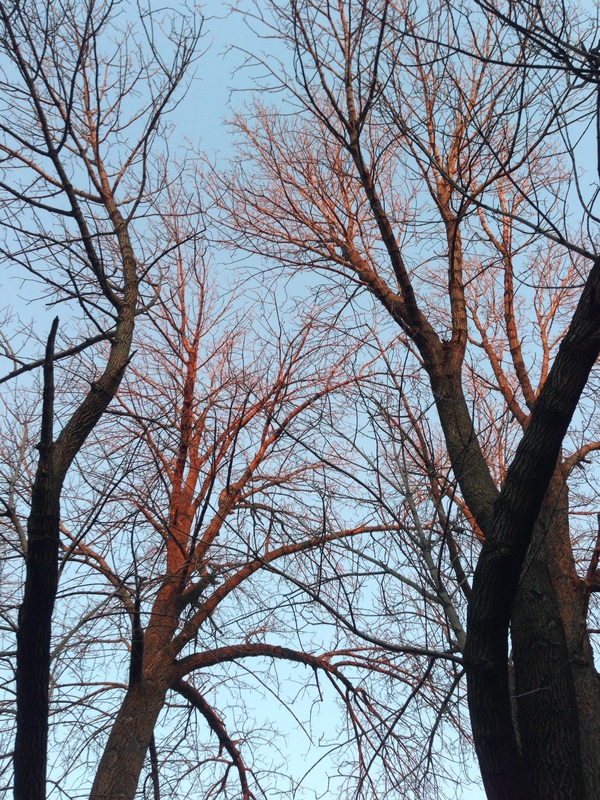 The Emerald Ash borer threatens this tree and is coming closer and closer. The City’s Forestry division is monitoring this problem closely and has implemented a plan to address the invasion. Many trees close to trails and buildings may have to be cut down and some trees will be treated an monitored. 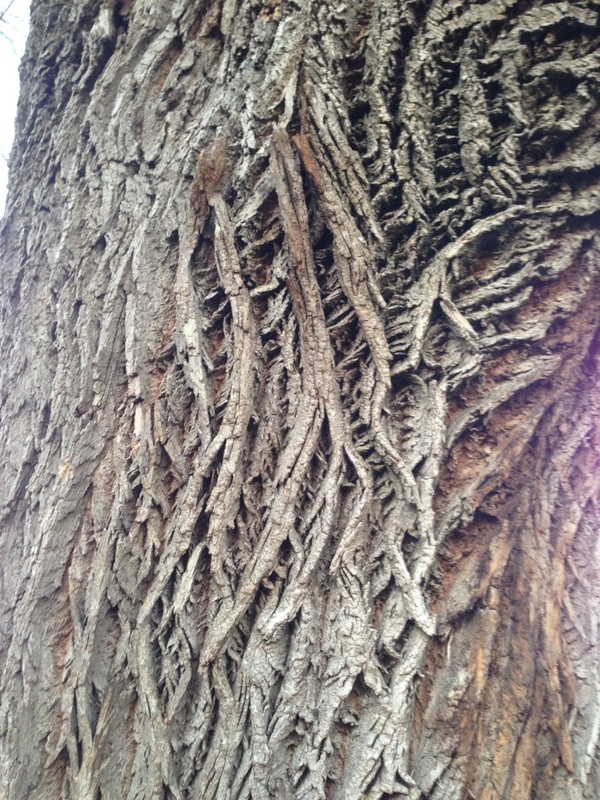 The bark on this tree is exquisite, the deeply furrowed bark, with a diamond pattern is textbook. 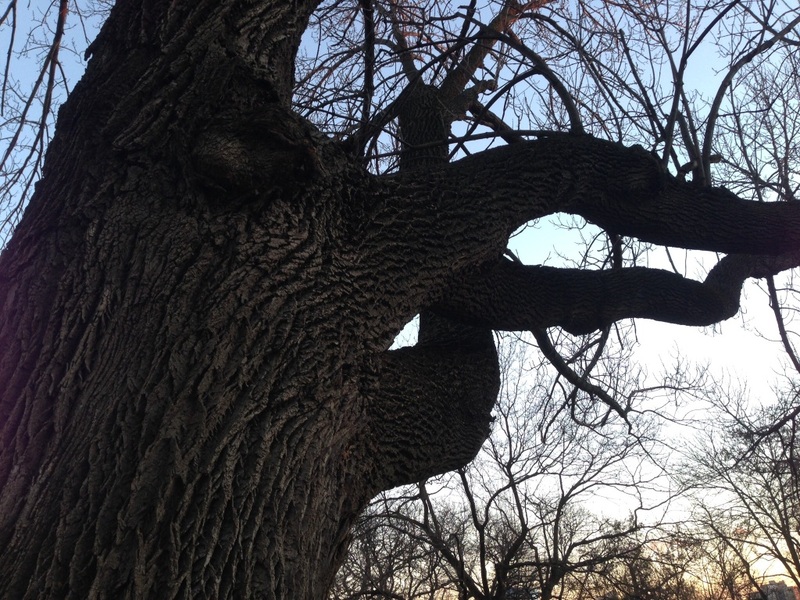 There is a movement about the bark: it is winding up the tree and enveloping the trunk at a pace frozen in our observance and perception. 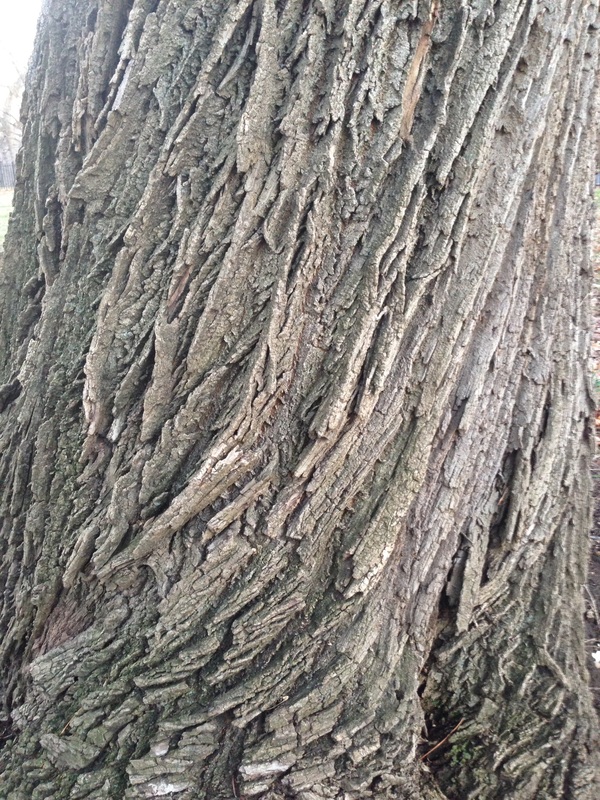 We have never seen the mature bark of an American Chestnut (Castenea dentata) and perhaps never will. Now it is looking like we may be the last to see the mature bark of the Ashes. If you are afforded the opportunity to see some Ash trees take a look for yourselves! We nominate the grand Ashes near Lemon hill to be treated against the Emerald Ash Borer and we are keeping our eye out for ones elsewhere in the city to be treated as well. Maybe alongside the majestic ones a few or more healthy young trees across the city could get into the treatment program? 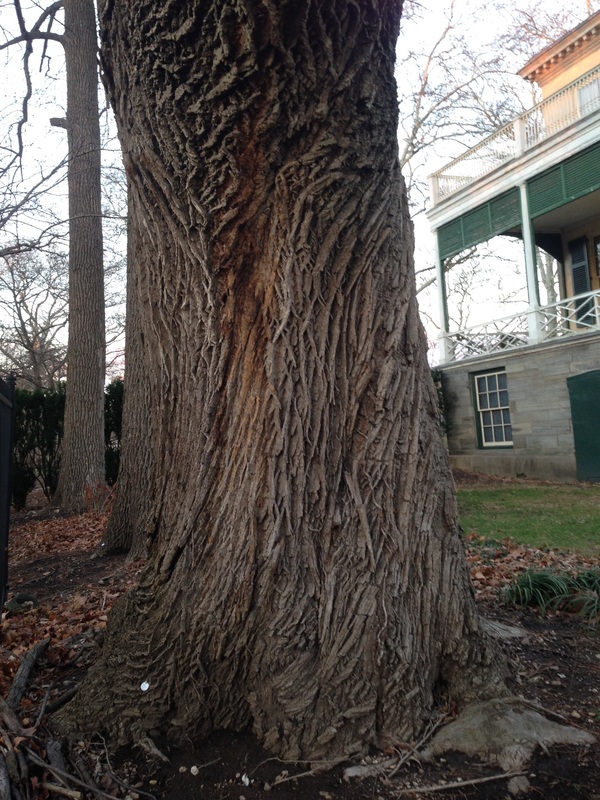 If you know of an Ash tree in the City of Philadelphia that is worthy of saving please pass along this information! Will the Ashes become the next Chestnuts? In silhouette, their magnificence is especially striking.